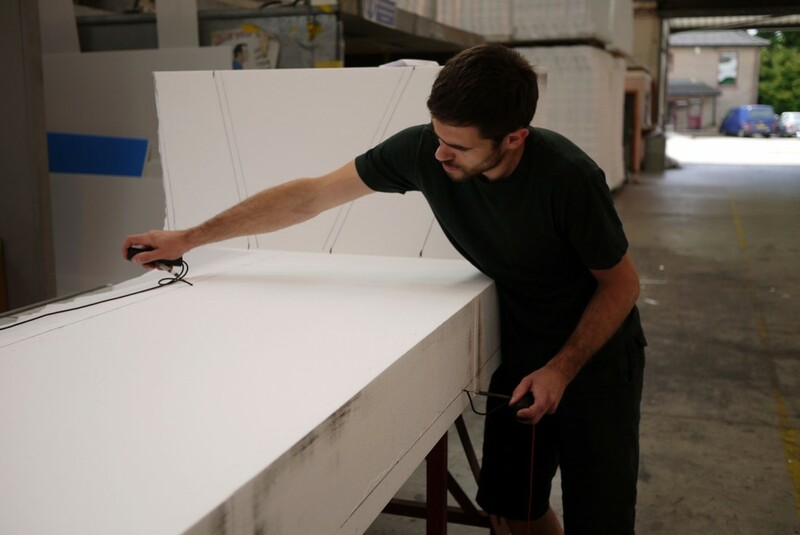 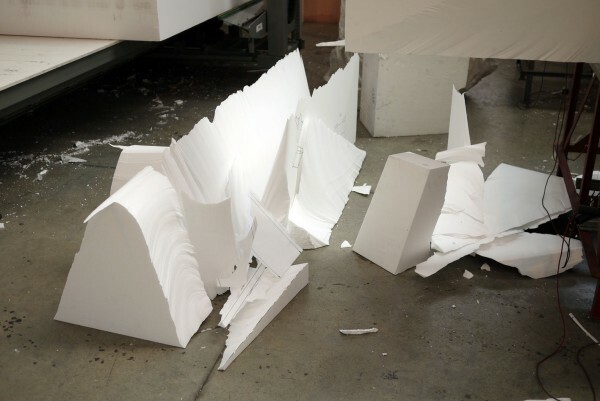 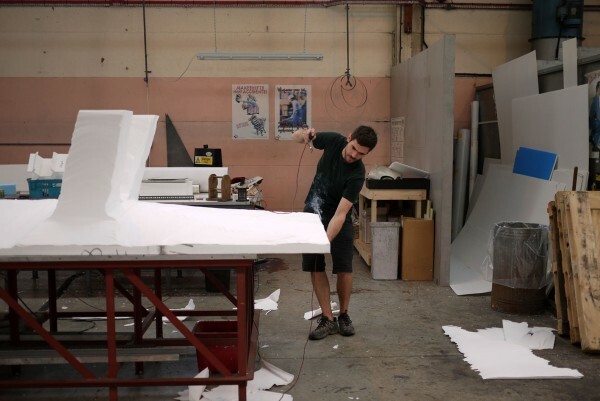 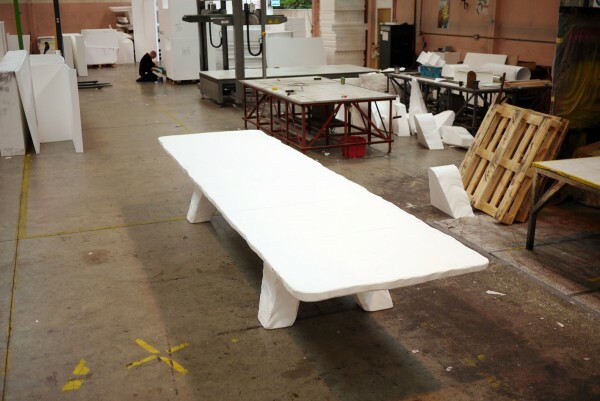 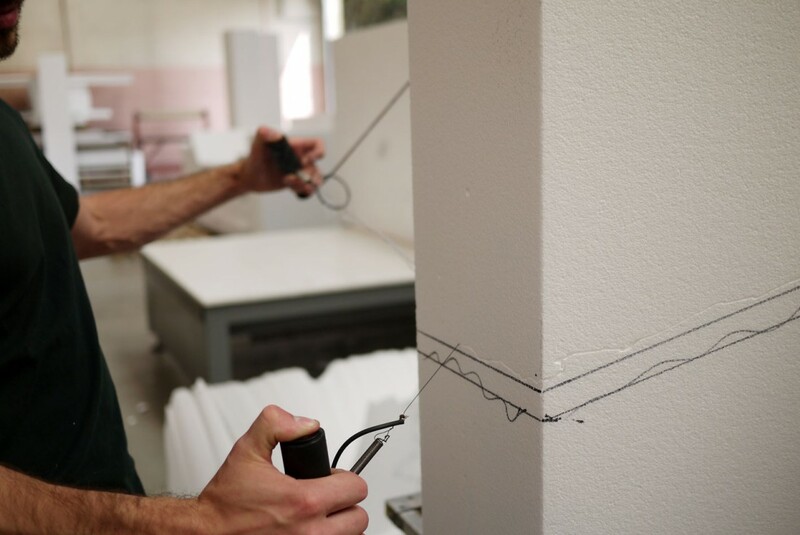 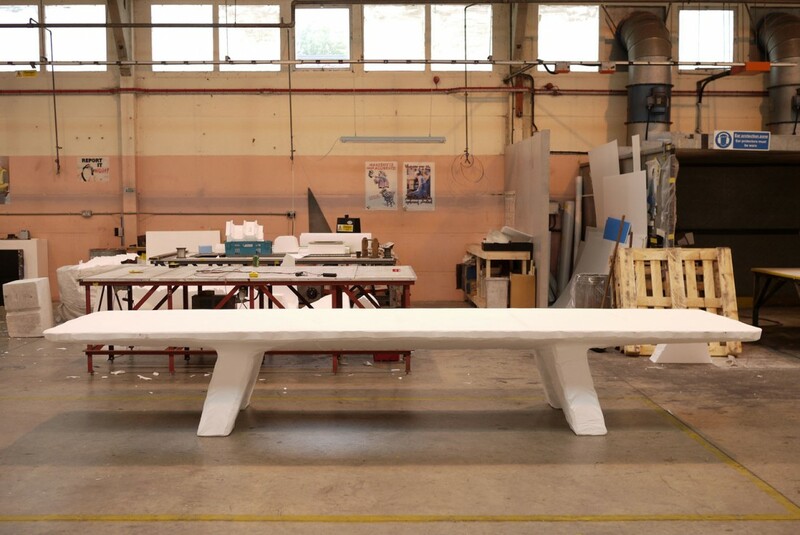 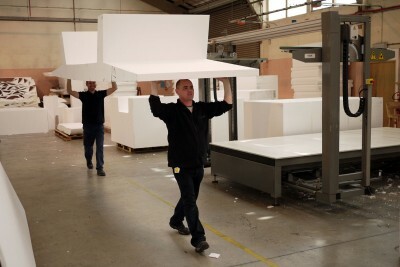 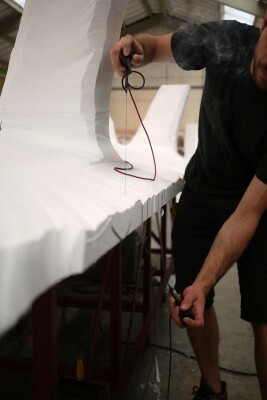 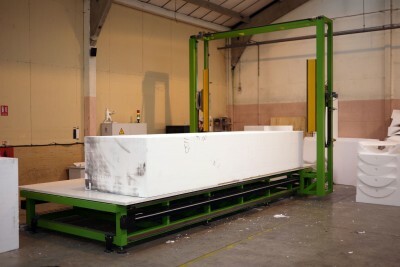 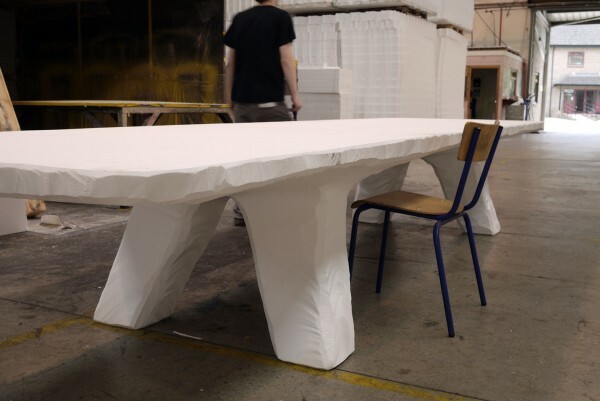 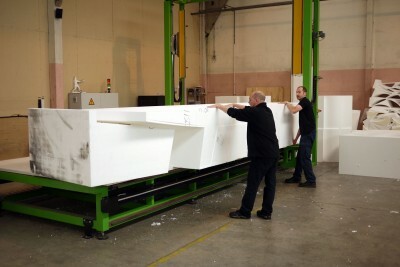 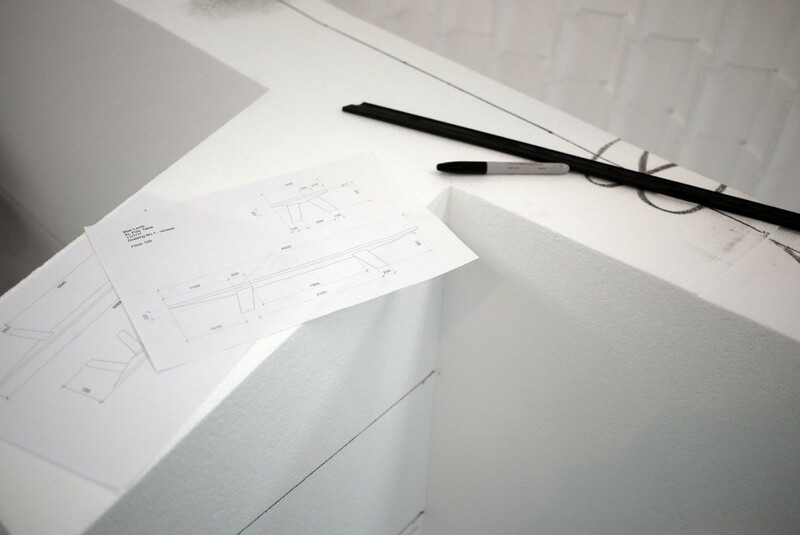 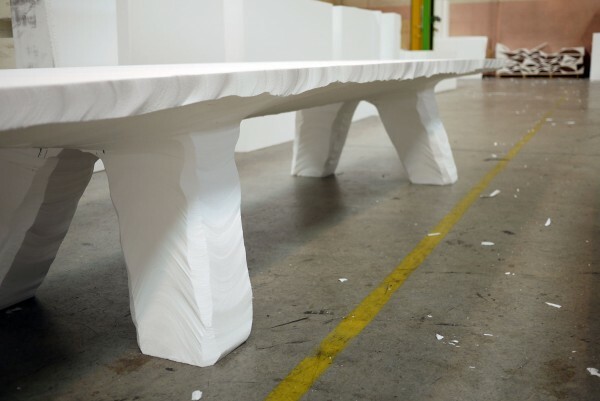 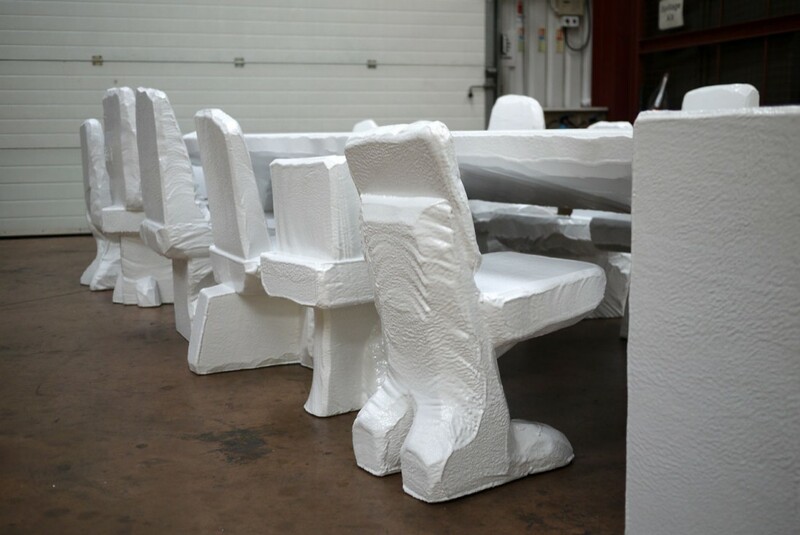 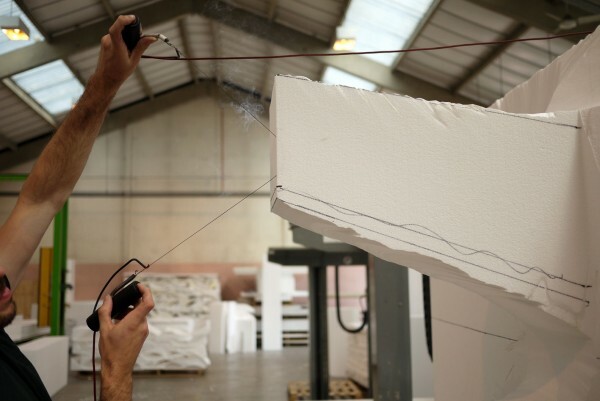 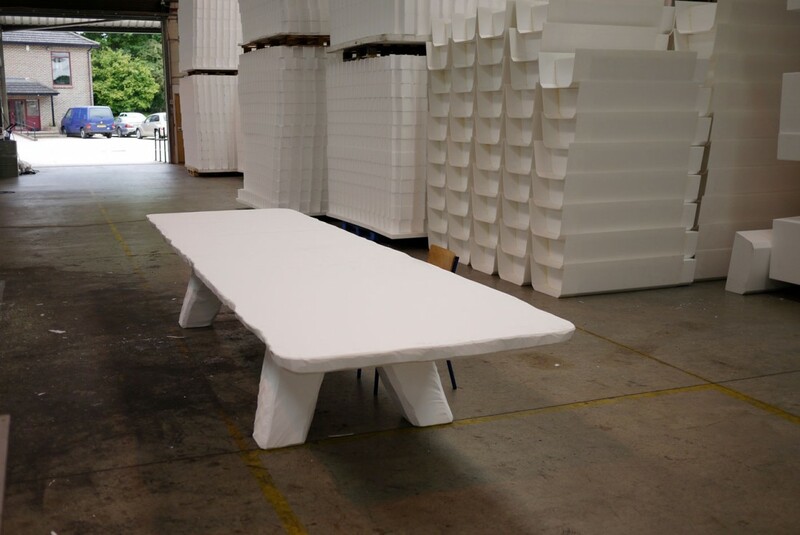 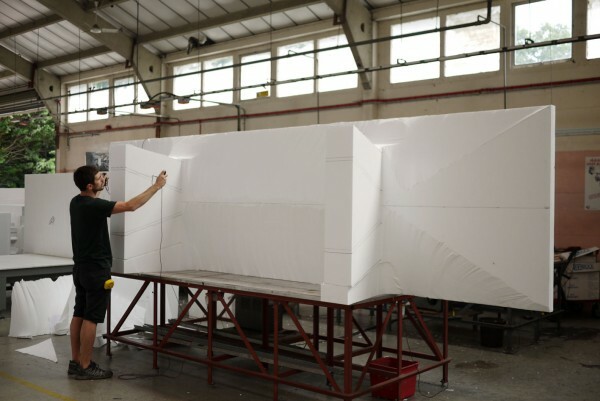 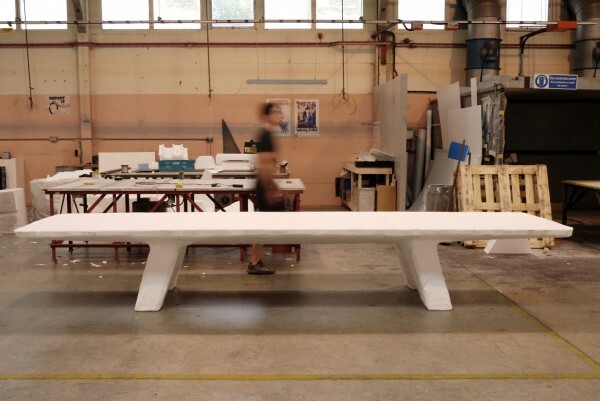 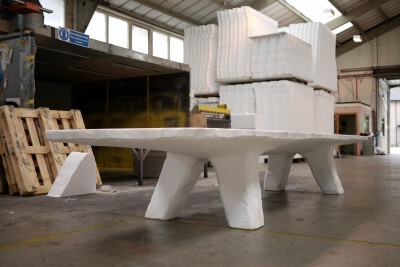 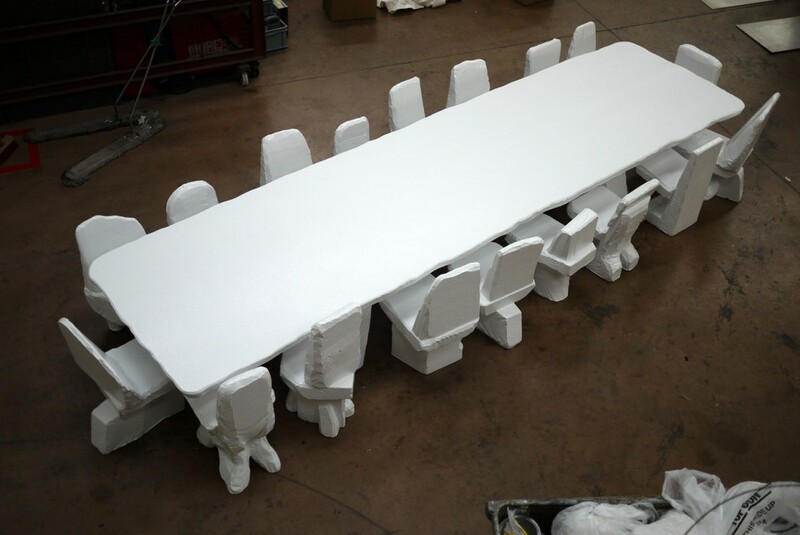 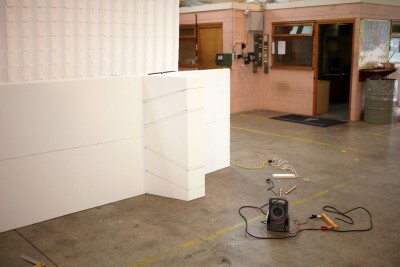 A 4.8m dining table carved from a block of expanded polystyrene using a hot-wire cutter. 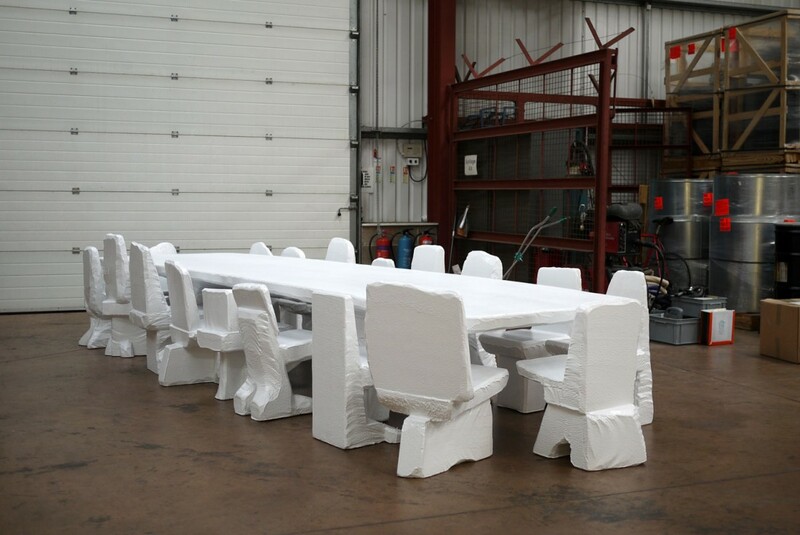 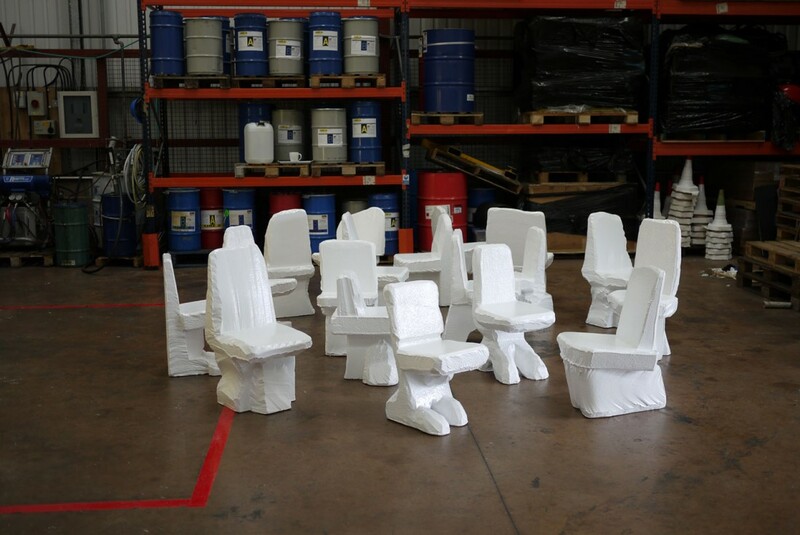 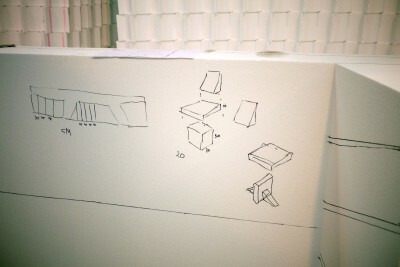 The waste material is further cut and re-assembled to make an additional 18 Scrap Poly Chairs. 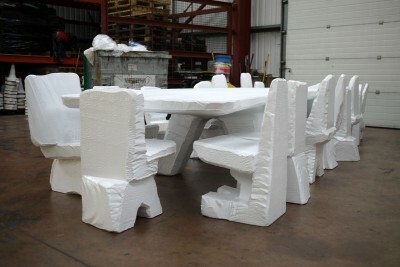 Coated in high density rubber for weather-proof and durability.